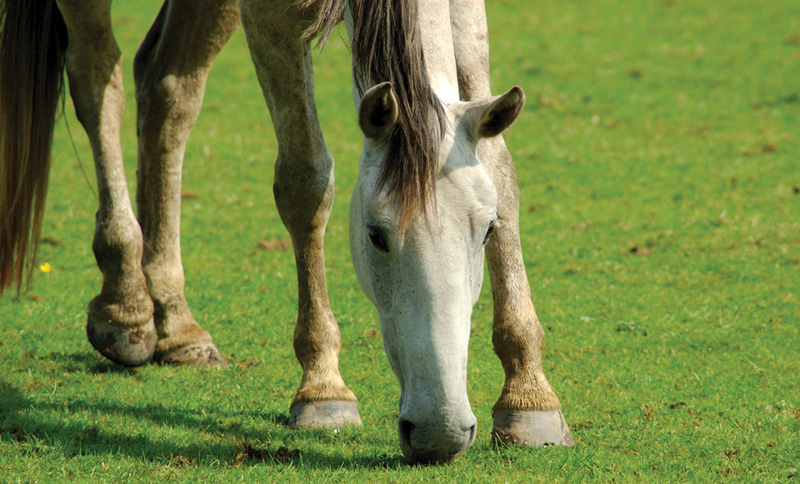 A complementary feed supplement for horses with volatile temperaments or those who encounter stressful situations. What Can Lead to Anxiety in Your Horse? The world can be a stressful place. Most horses lead happy lives, but modern life can be noisy and confusing. Loud noises such as thunderstorms, fireworks or game shooting are a common cause of fear or anxiety. At VetPlus we believe vets are best placed to advise on the best course of action for your pet. Because of the way people have bred horses, behavioural problems and anxiety are very common. They may appear mild, but they can become very distressing or even dangerous as well as causing chronic health problems if they are not managed appropriately. Your vet is the best person to advise you on what is right for your horse. It is important to remember that managing behavioural issues can take a long time and patience so do not lose heart if the problems do not disappear immediately. Calmex Equine comes in a sachet which should be added to feed or mixed into a paste and syringed into the mouth. It can be given once per day, or split across two feeds. It can be used for short, medium or long term support. Calmex Equine is a blend of natural nutrients that help reduce anxiety, encourage normal behaviour and support neurological health in general. It promotes calmness, relaxation and concentration making life less stressful for both you and your horse. Contact the vet you purchased Calmex Equine from for guidance on the use of Calmex Equine for your horse. They’ll be able to provide specialised advice for your pet due to the records they keep. If you are unable to get the information you need from your vet, or if you bought Calmex Equine elsewhere, please contact us for assistance.